Purity in the name of Religion. Banganga and the surrounding temple complex. 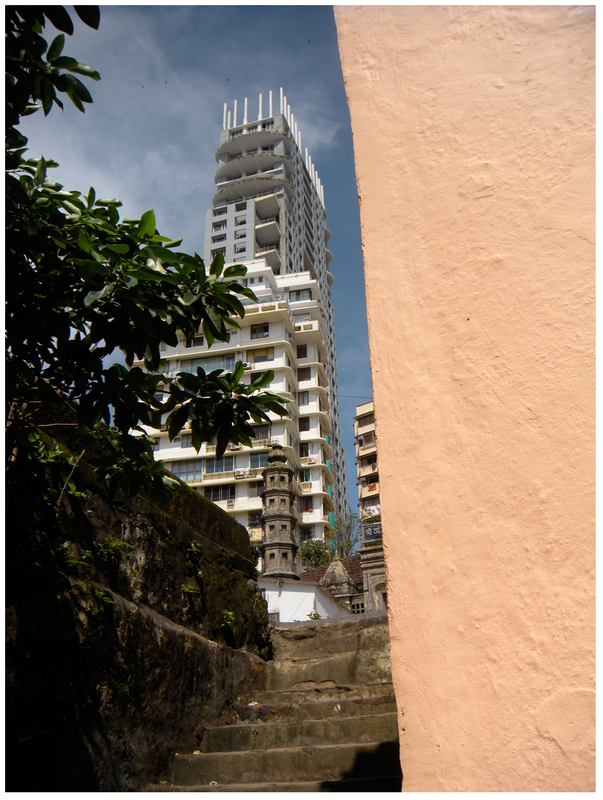 Banganga is a true portrayal of the old existing with the new. The spring believed to be holy is surrounded by old stone turreted temples as part of the Walkeshwar Temple Complex. It is close to the Arabian Sea and the temple complex is surrounded by modern residential high-rises overlooking this historical site. It is believed that the spring is an underground offshoot of the River Ganges. Legend has it that when Lord Ram was on his mission to find Sita and rescue her from the demon king he rested here for a while and then shot an arrow and created the spring to quench his thirst. The name of the spring is derived from this story – Baan (arrow) and Ganga (Ganges River). As of today the waters of Banganga are mossy and swampy. The water is a farm of diseases. The water and the surrounding monumental steps are cleaned once a year in February when the Banganga Fest is held. Thereafter it is littered with flower petals amongst other things. Irrespective of the spring being dirty – priests and devotees often take a dip in the holy waters of the spring to wash away their sins. If left to ones imagination the potential for this place of worship and public gathering is limitless. Besides the obvious fact of a maintenance program this place needs some love. Children that live around the neighbourhood take a dip to cool themselves off and share their diving skills. Don’t they deserve a cleaner spring to take a dip? I would like to thank my friend – The Loitering Lamb for discovering this place and sharing it with me. 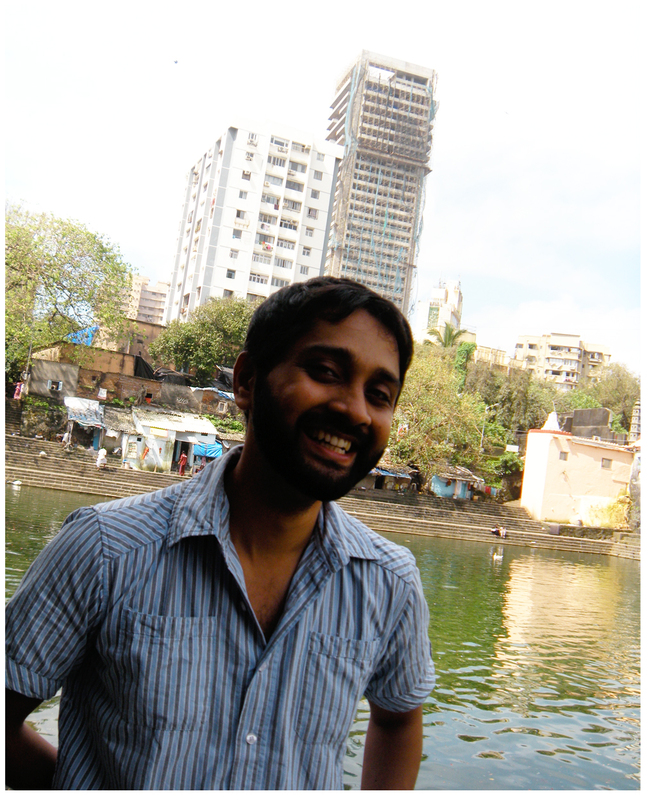 This entry was posted in Culture, Travel and tagged Bombay, Culture, Heritage, Mumbai, Religion, Travel. Bookmark the permalink. 4 Responses to Purity in the name of Religion. hahhahaa..”The Loitering Lamb” is losing his creativity…imagine mr. never-at-a-loss-for-words is borrowing titles from you!! Ha! Actually I gave him that name. You can read some more about this place here. Thanks for sharing. I wish the place was cared for and is maintained during the year as well and not just in January during the festival.